We’re lucky to have an incredibly diverse range of rich coastal habitats around the Devon and Cornwall coastline, packed with estuaries, sandy beaches and rocky shores – all readily accessible for field trips. A recent World Wildlife Fund report highlights the South Devon coast as the area of highest marine biodiversity in the whole of the UK. We have rich rocky shores right on the waterfront of the city – five minutes from the campus and a range of coastal sites with varied ecology just a short drive from the city. 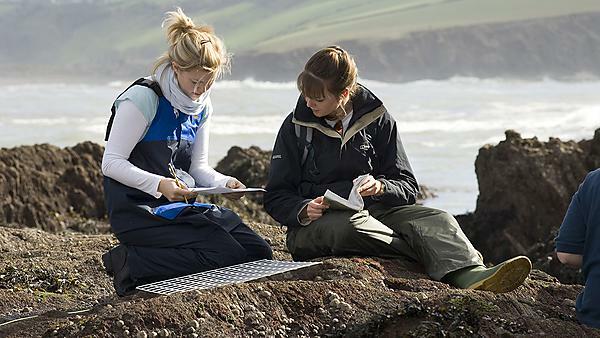 Our field work programme is constantly praised by External Examiners who have commented that "few other universities offering degrees in marine biology have such good facilities." Plymouth is a hub for activity for the study of marine life. An incredible concentration of internationally-renowned marine scientists, across several international organisations in the region, provides excellent opportunities for research and collaboration for staff and students. Many of our students volunteer or carry out their Honours projects with these institutions. This rich intellectual environment allows you to attend specialist talks, events and activities to increase your understanding and expertise. Plymouth has wonderful diving opportunities too, and the new £4.65 million Marine Station provides excellent facilities to support marine-related teaching and research.